He was heartbroken when the last Bachelorette did not choose to marry him as he made it to the final rose ceremony on last season of ABC’s The Bachelorette. 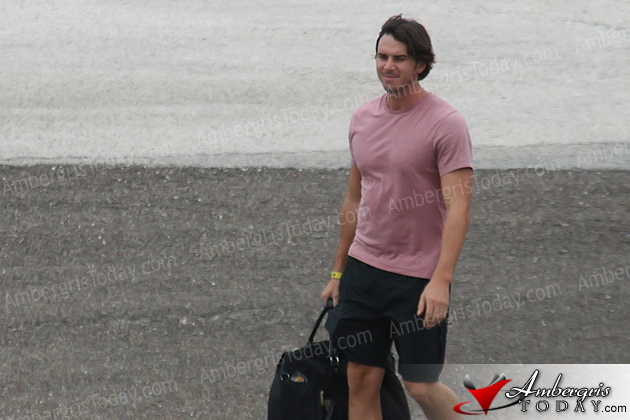 But now Ben Flajnik is the new Bachelor on ABC’s hit reality dating show which is filming on location in San Pedro, Belize! 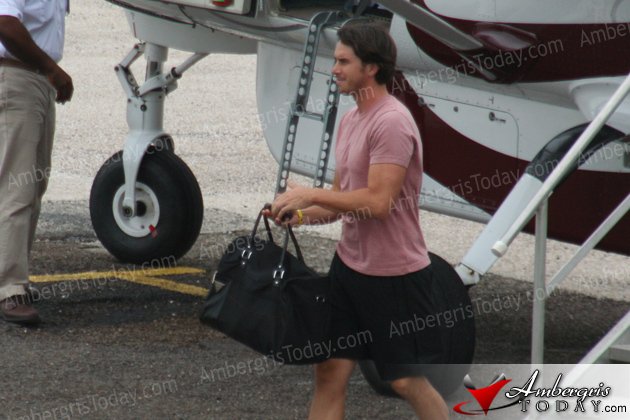 Rumors were all over town of The Bachelor’s arrival so Ambergris Today got cracking and we were able to catch Ben, cast and crew as they arrived on the island on Wednesday, October 19, 2011. With all the cameras and people around we knew something was up! 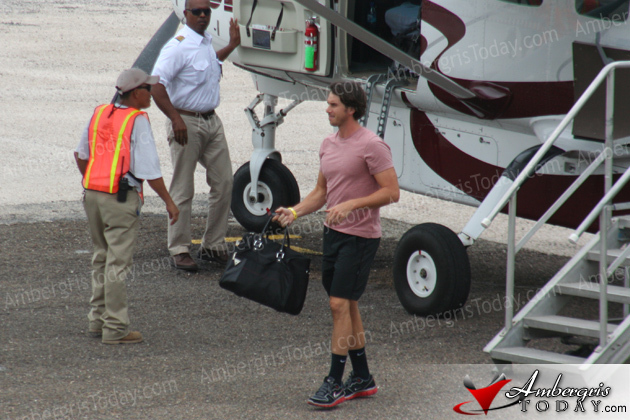 So we did some searching and found out that the entire filming production of The Bachelor was coming to Belize. According to online reports the cast and crew were coming from filming in Panama, having previously visited Utah, and Puerto Rico. According to Reality Steve Belize is the last stop before the hometown dates. Then Ben and his final beauties will head to Switzerland for the overnight dates, with the final rose ceremony being filmed in November at the famous Matterhorn. 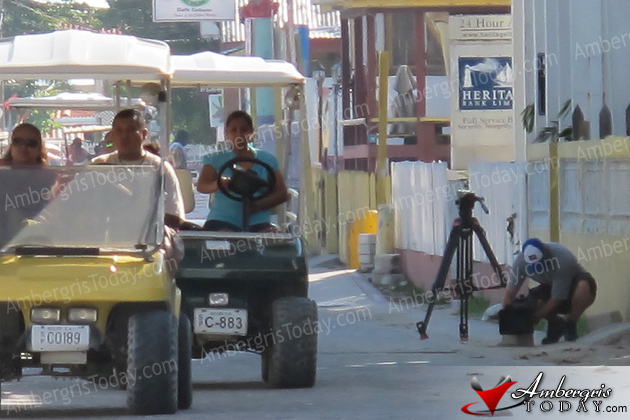 Filming of The Bachelor began in September and now they are in San Pedro, Belize filming the final few episodes of the popular dating show. 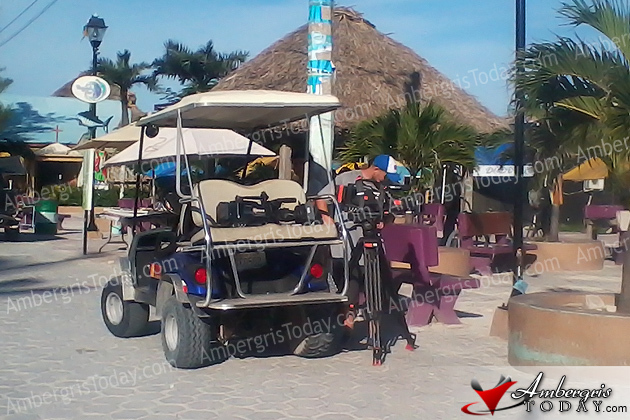 Ambergris Today was able to catch Ben as he arrived in San Pedro via Tropic Air and was immediately whisked away on golf cart to a nearby downtown hotel. His potential wife, amongst the final four ladies, arrived shortly after Ben on a separate plane. The Bachelor’s TV show host Chris Harrison was also in the mix of things. 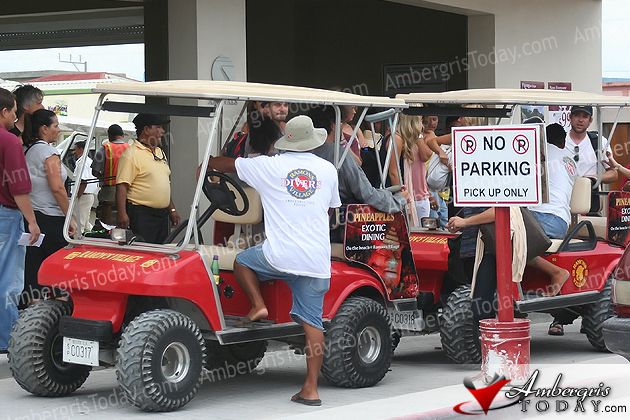 Everybody was then transported to a luxurious resort in North Ambergris Caye. 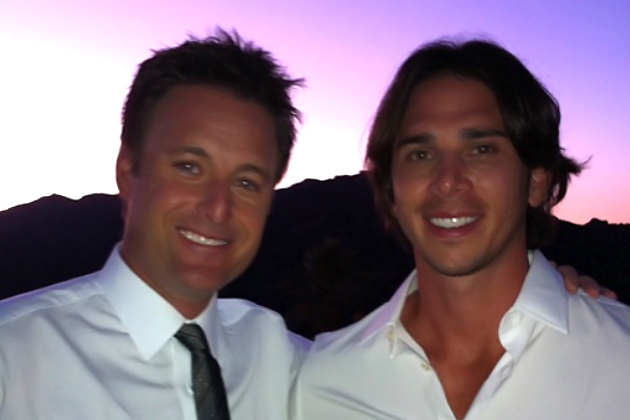 According to Reality Steve, up next for Bachelor Ben will be the hometown dates with the final four women. In the end, the remaining women travel to Switzerland, and the final rose ceremony will take place there. Even though we won't see the results until January/February, winemaker Ben Flajnik's Bachelor is enjoying the company of the beautiful ladies in the perfect setting that is San Pedro, Belize. 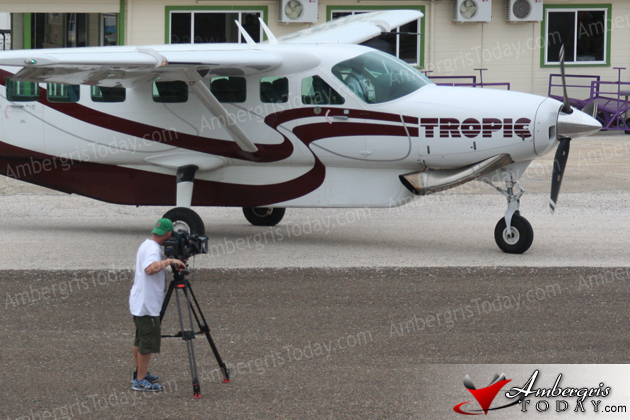 What we are happy about is that Belize will once again be in the international spotlight on ABC Network after having great exposure on the Gene Simmon’s Family Jewel show on A&E. The Bachelor is an American reality television dating game show debuting in 2002 on ABC. For all seasons, the show is hosted by veteran television personality, one-time game show host and news anchor Chris Harrison. There are two related series, The Bachelorette and Bachelor Pad. The series revolves around a single bachelor (deemed eligible) and a pool of romantic interests (typically 25), which could include a potential wife for the bachelor. The conflicts in the series, both internal and external, stem from the elimination-style format of the show. Early in the season, the bachelor goes on large group dates with the women, with the majority of women eliminated during rose ceremonies. As the season progresses, women are also eliminated on one-on-one dates and on elimination two-on-one dates. The process culminates with hometown visits to the families of the final four women, overnight dates at exotic locations with the final three women, and interaction with the bachelor's family and the final two women. In many cases, the bachelor proposes to his final selection. So where are the photos of the ladies? Sneaky.